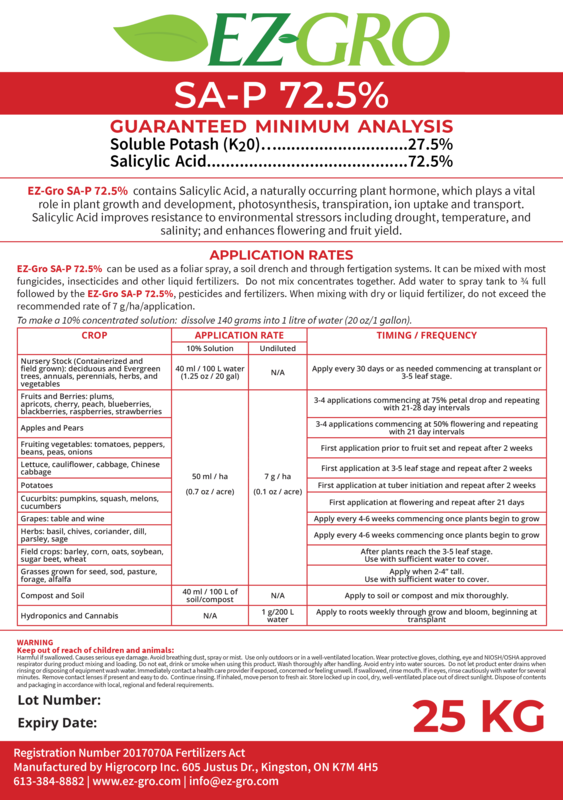 EZ-Gro SA-P contains Salicylic Acid, a naturally occurring plant hormone, which plays a vital role in plant growth and development, photosynthesis, transpiration, ion uptake and transport. Salicylic Acid improves resistance to drought and environmental stress, enhances hardiness, flowering and fruit yield, and aids in Systemic Acquired Resistance (SAR). Apply EZ-Gro SA-P powder to your crops to protect against abiotic stress and improve overall quality and yield.